How do I set Holiday Allowance and Limits? 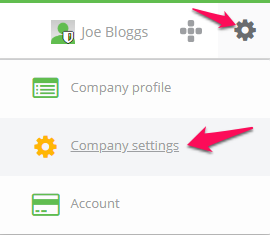 To set your company's holiday limits, navigate to your company settings. Click into your holiday tab. 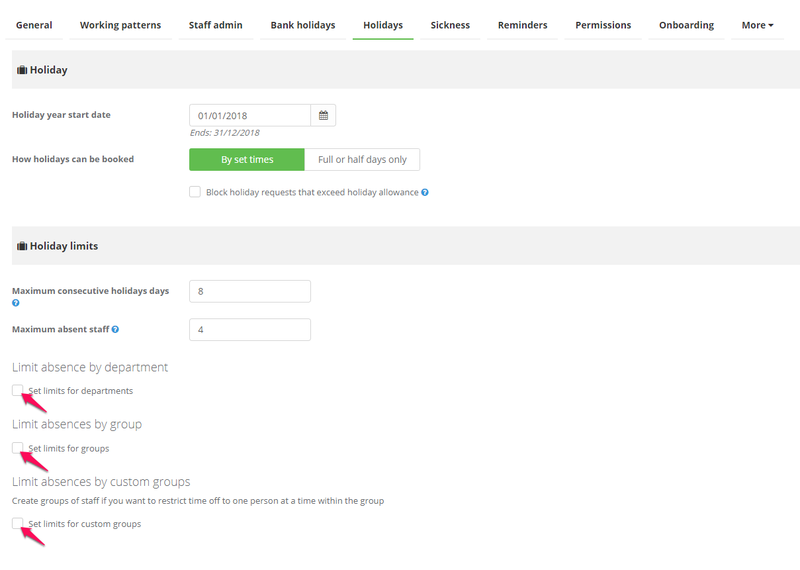 Within your holiday limits, you will be able to set the maximum consecutive holiday days and maximum absent staff. You can set limits for absences by department, group and custom groups. To expand these options, tick the boxes according to what you would like to limit absences by. Limiting absences by department or group will produce a list of each department or group and allow you to type number values into each textbox. 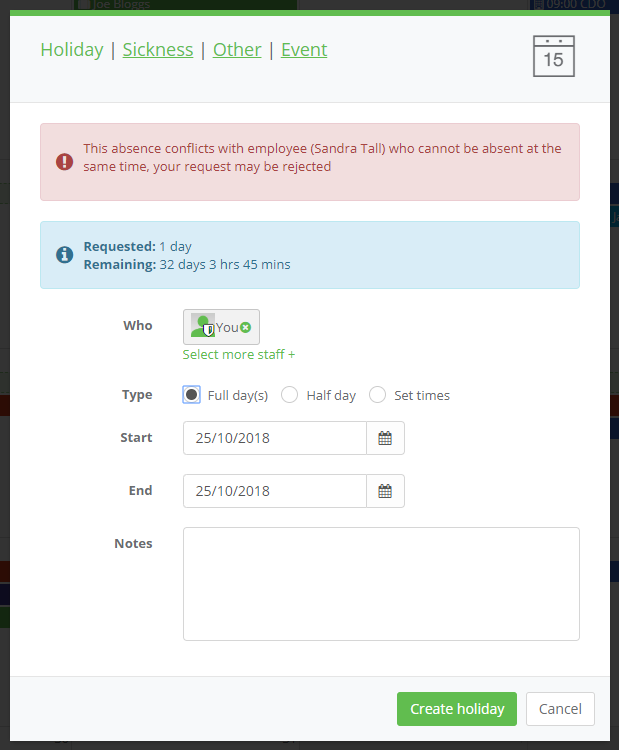 Limiting absences by custom group will allow you to specify staff who cannot be off at the same time. 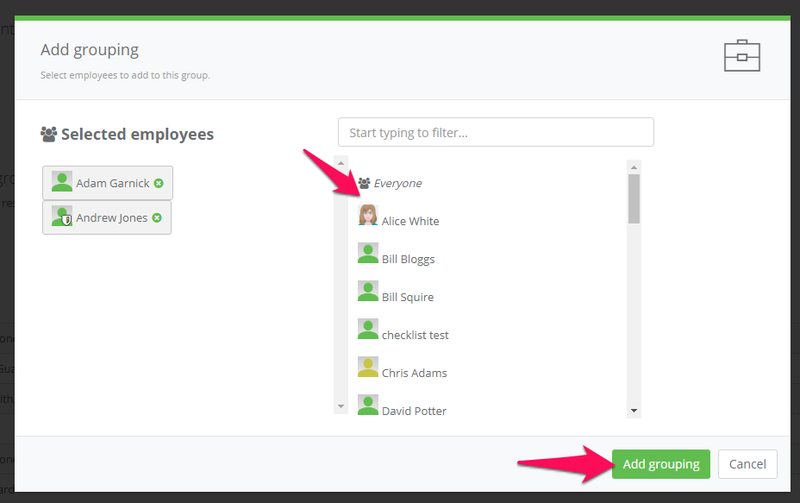 Click + create group in order to specify which staff should not be off at the same time. This will prompt a new dialog box to appear which will ask you to select staff. 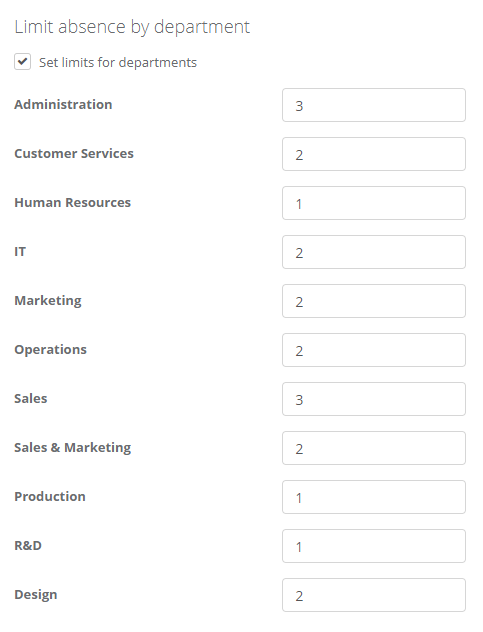 Click add grouping once you have selected all that apply. You can edit or delete existing custom groups under actions. If a staff member requests holiday on a day that has been restricted by these limits, a warning message will appear when they are entering the request. They will still be able to create the request, but the holiday approver will receive a warning with their notification to inform them of the issue. How do I set my Company's Holiday Year? Can I set users who are not an Admin or Direct Manager of a Staff Member as their Holiday Approver? How do I add Bank Holidays? What Happens when a Staff Member wants to Cancel a Holiday and add it back to their Allowance? How do I book time off using Other Absence Types? How do I Update Existing Custom Absence Types? Can I add Manual Adjustments to Staff Holiday Allowances? How does Holiday Carryover work? How do I Book Holiday as an Admin User? How do I Change a Staff Member's Annual Holiday Allowance? How do I Create Holiday Self Approvers? Can I Restrict Holiday by Company, Department or Group? Can I Limit Absences by Users? 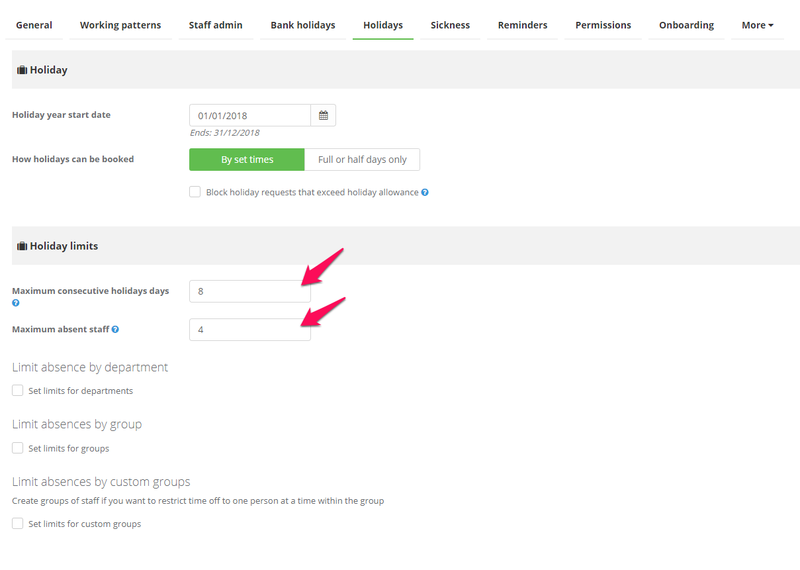 How do I Manage Holiday Bookings?